Send a broadcast email to a group of people, be it guardians, workers or both, right out of KidCheck – easy, fast, convenient! It’s as simple as selecting recipients, composing the email, attaching any documents and hitting send. Email all parents/guardians to tell them about a time or location change for a children’s program, remind them of an upcoming event, or request they participate in a special occasion. Or email just a specific classroom (i.e. 2nd grade guardians) to tell them of a teacher or room change, or to remind them to bring supplies for a certain project. 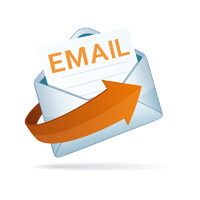 Email all staff, or those associated with a certain template(s) or location(s), about an upcoming meeting or training they need to attend, or a request to coordinate their plans to help with a certain project or program. With KidCheck Broadcast Email there’s no need to use a separate email service, copy and paste emails from the database, or set up email groups. Simply send an email right from KidCheck to the group(s) you want. You choose the email recipients from your KidCheck account based on a variety of criteria. These include: guardians, workers or both; your chosen date range when they’ve checked children in; which campus (if you have more than one); the appropriate templates and locations (choose all, one or a combination of). You can even attach documents to the email such as paperwork that needs to be filled out, a flyer promoting a program, updated schedules or whatever you need. Plus, a history of sent emails provides information on who sent what and when so you can easily track communications. Save time and energy by using your existing database email contact information to quickly send group emails based on the criteria you choose right out of your KidCheck children’s check-in system.